‘Picture This’ is a web-based project run jointly by Canterbury Cathedral Archives and Library, the University of Kent, and the Centre for Kent History and Heritage (CKHH) at Canterbury Christ Church University, available on the Cathedral’s website https://www.canterbury-cathedral.org/heritage/collections/picture-this/ . 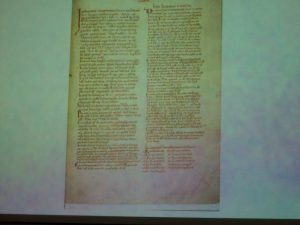 The aim of the project is for researchers at the two universities to write short and accessible pieces about medieval and early modern items in the Cathedral’s collections for everyone to enjoy. 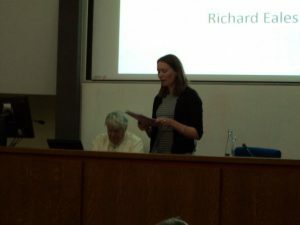 The co-ordinators of the project are Cressida Williams, Head of Archives and Library, Stuart Palmer from University of Kent, and Diane Heath from CKHH. 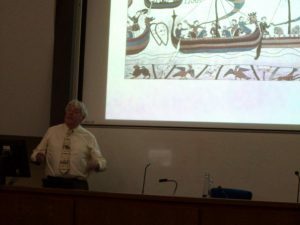 As I expect you have gathered, June has been a very busy month full of very exciting lectures, conferences and workshops, and last week was no exception.